After 25 hours of planes/waiting in airports, we finally made it to Lima, Peru! We get off the plane, excited and extremely jet lagged. As we get to the baggage carousel, I cross my fingers and wait anxiously for my bag to come around as I do every time. Suddenly I realise that me and another guy are the only ones still waiting for our bags and everyone else has left. Don’t panic I think to myself. We ask the guy at the desk, who thankfully speaks some English. Your bag is still in Sydney he says….ok PANIC TIME!! That was my official welcome to South America. A lesson I learned was to next time pack clothes in my carry on, thankfully I has been smart enough to pack undies as my bag didn’t arrive for another 48 hours. Miraflores, Lima is a very westernised, busy city. It’s nice, but not to much character, just another city in my eyes. It’s extremely clean, with people sweeping the streets and even washing the public bins with bleach. Parque Kennedy is a nice park in the middle of the city with big flower beds full of cats? So weird! All in all Lima nice but uneventful. 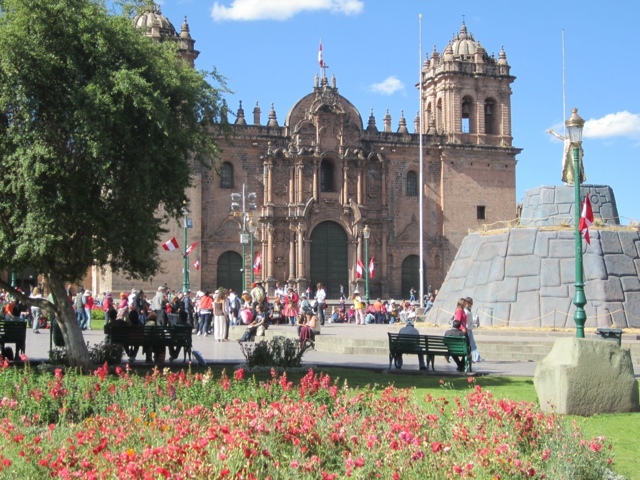 3 days later we arrive to the wondrous city of Cusco, 3,400 meters above sea level. The flight itself was something. We went up so high in the plane..as you do, and suddenly there’s massive mountains not that far below us! So unreal. Luckily for us, we took Diamox so we didn’t have too much trouble with the altitude. Cusco is such an amazing, different place. It’s like old meets new. Narrow cobble stoned streets, beautiful churches and arch ways, ladies and children in traditional dress and colourful markets. Then there’s also big shops, nice restaurants and lots of crazy traffic. We stayed at Loki hostel for three nights. Wow that place sure knows how to party. We moved into our home stay on Sunday ready to start Spanish school on Monday. I was so nervous, I kept picturing us living in a disgusting house made out of mud, eating Alpaca for breakfast, lunch and dinner. Luckily for me I was completely wrong. Our house is amazing and our family are super nice and welcoming. The food is also really good. Staying in our home stay and staying at Loki, are just so completely opposite, it’s hard to believe its the same place. I’m so lucky and glad to be doing this home stay and learning about the Peruvian culture. They really are amazing people with so many different beliefs, traditions and ways of living their lives to what I’ve always known. I would definitely recommend it to anyone. Spanish school is so hard but so much fun! It’s hard to believe that only 3 weeks ago I knew zero Spanish. I have learned so much already, but there’s still so much to learn. We just recently did a day trip to the Sacred Valley. What a beautiful place that is! The windy roads and monstrous mountains make you feels so small and insignificant. 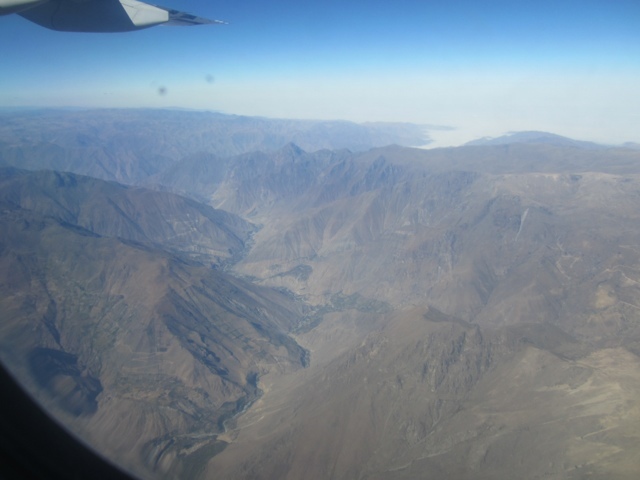 We visited Pisaq, Urabumba, Ollaytaytambo and Chinchero. Ollaytaytambo was my favourite place of the day by far. I would definitely recommend steering clear of the included buffet in Urabumba as well let’s just say I wasn’t feeling the best the next day.. I feel that this whole experience really is a once in a lifetime experience, and I’m so happy and grateful to be doing it. I truly believe that traveling is the only thing you buy that makes you richer. Three more days left of Spanish then the trek to Machu Picchu begins. Ahh I get goosebumps just thinking about it! To say I’m excited about it is an understatement!! !